It’s just the ticket for a guest room, kid’s room or for single sleepers. Open coil is also the most popular mattress type in the world, and with good reason. It’s a fantastic all-rounder and great value. Rows of hourglass-shaped coils are all connected on top and bottom, and held in place with polyester fibre. The springs provide balanced support, while the layers of fibre add softness and cushioning. We’d say it's medium in consistency, but the pillow top adds an extra layer of luxury and comfort. It’s also lighter than other mattress types, so it’s easy to rotate every few months for evenness. 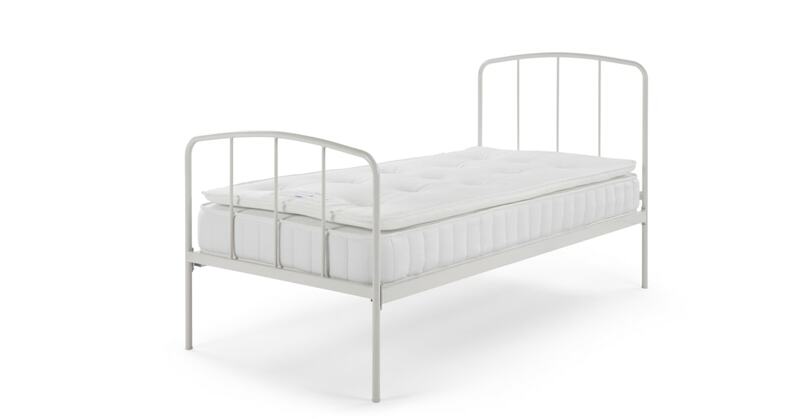 Open coil, 6 comfort layers, pillow top, no turn, tufted, medium.